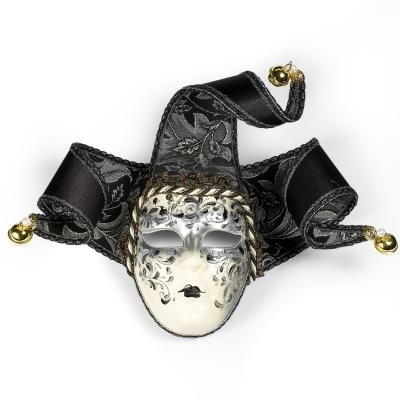 This mask is is a beautiful blend of black, silver, and white. 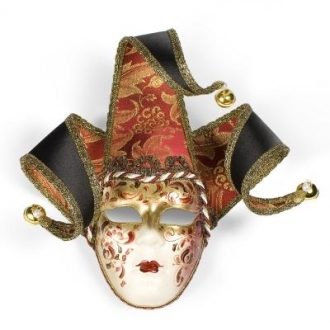 This is a great statement piece to have in a home or office. 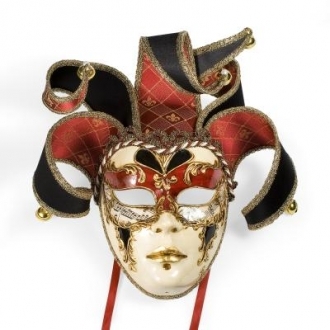 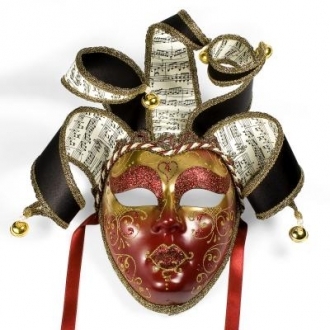 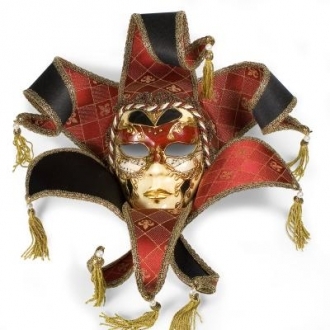 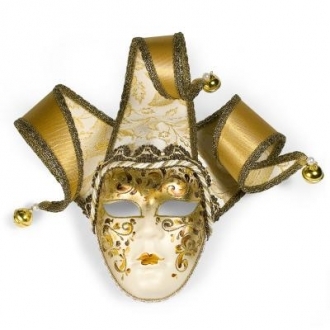 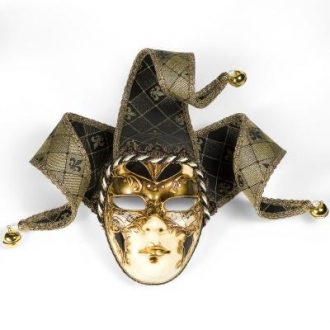 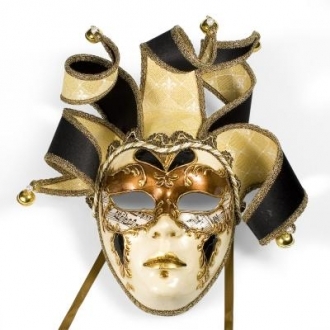 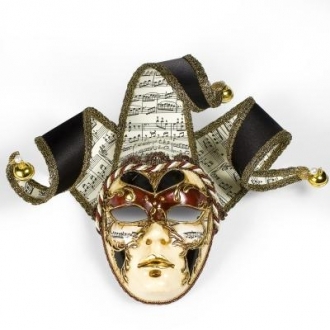 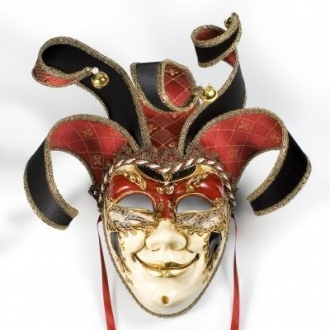 This mask is handmade in Italy and hand painted by master Italian artisans.